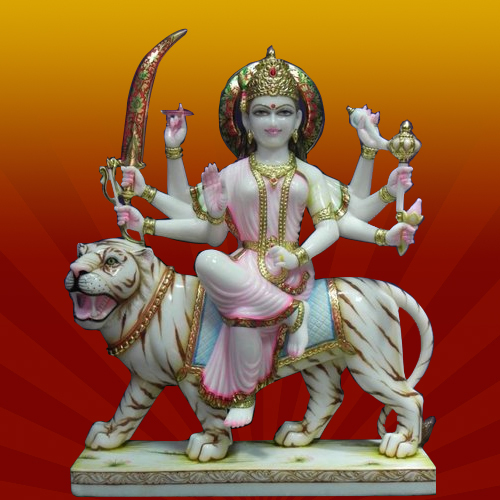 The Marble Durga Statues offered by us are intricately carved out from premium quality marble with fine finishing and perfect cuts. These statues are known for smooth finish, beautiful artwork and exquisite design. 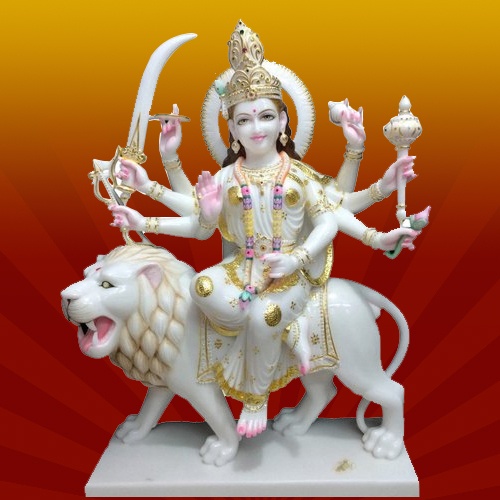 The Durga Moortis offered by us are precisely crafted from white marble in different designs and patterns. Owing to attractive artwork, excellent polish and intricate caring, these statues gained appreciation across the market. 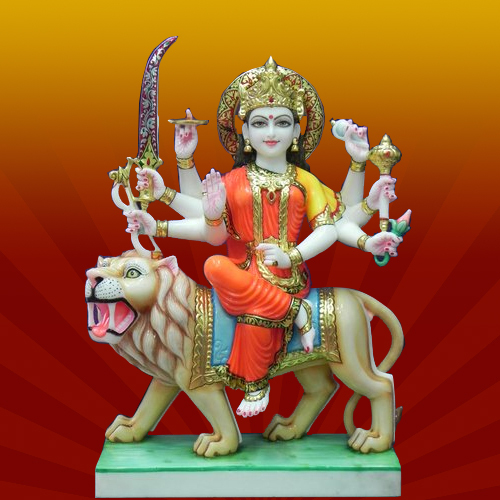 We offer splendid range of Marble Durga Statue in different designs, colors and sizes. 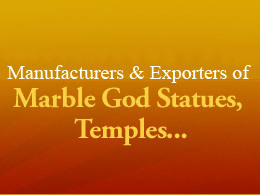 Crafted using superior quality marble, these are perfect for placing in different temples for worship. 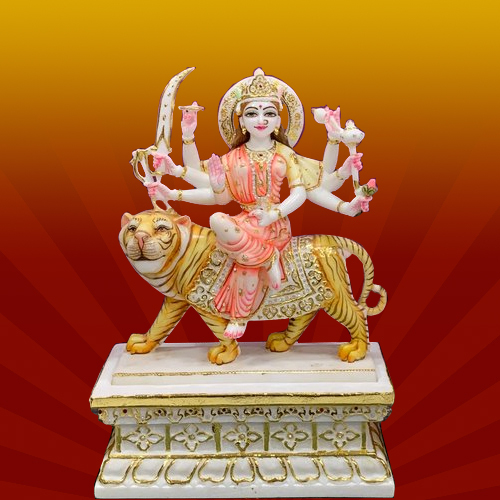 The Maa Durga Murti offered by us is intricately designed and crafted. 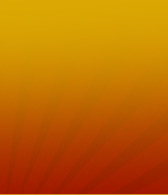 It eliminates negative energy and keeps the mind alive and fresh. 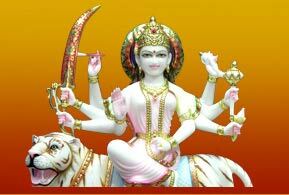 We are the exporter of Marble Durga Murti. These elegantly designed idols are colored with metallic colors and gold highlighting is used to depict jewelry. 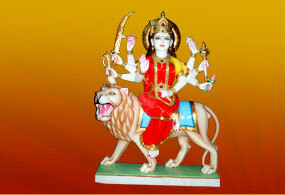 The White Marble Durga Statue presented by us is considered as the epitome of positive energy. Available in different designs and sizes, the statue is exclusively crafted to meet the individual requirements of our clients in best possible manner.